Why wait for the weekend? 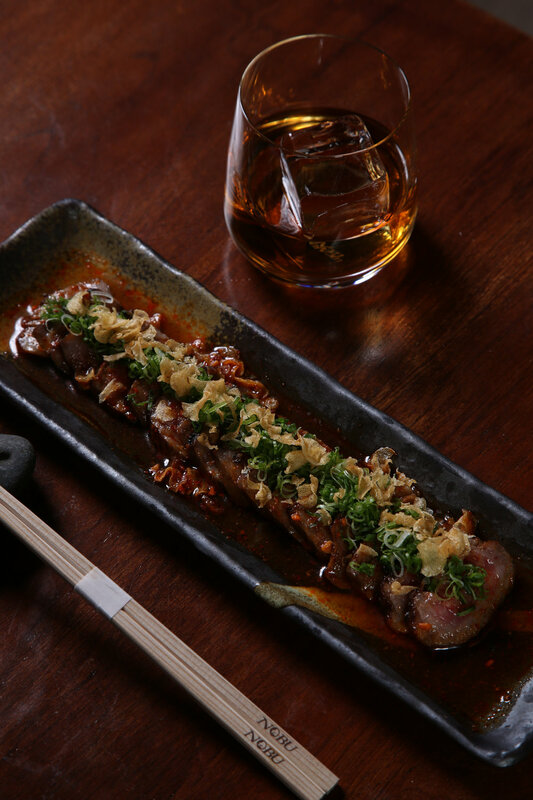 Indulge in an exclusive new Wagyu menu along with Japanese Whisky Cocktails & Specials as a live DJ spins you into the better half of the week. Wagyu Tataki Yuzu Chimichurri, Wagyu Tataki Wasabi Aioli & Wagyu Nigiri are just some of the delectable new dishes. Plus, enjoy $8 Japanese Whisky Sours or Japanese Blood Orange Old Fashioneds and $10 Japanese Whisky by the glass (Suntory, Nikka, Kaiyo & Iwai).